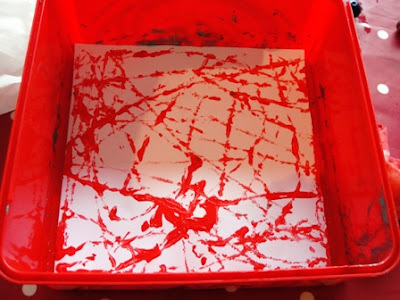 Here's a neat alternative to marble painting & one which produces great results. 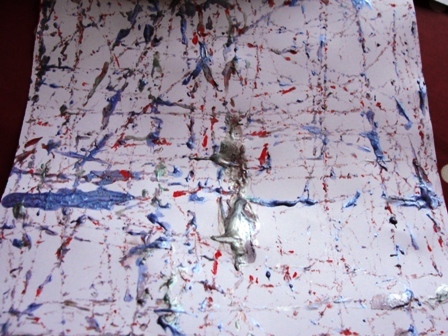 Minnie was keen to paint with marbles, but we were unsure where our collection was. 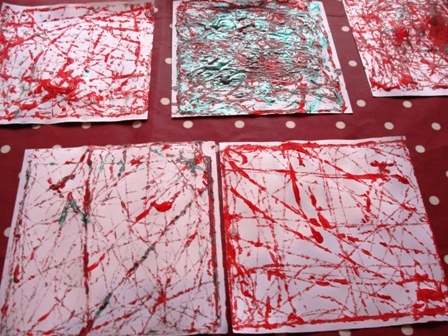 After much searching & no marbles found, we opted to paint with these instead. 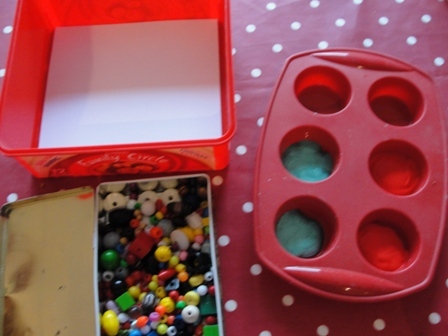 I added a square of paper to line the bottom of the tin & Minnie added her chosen paint to the muffin tin. 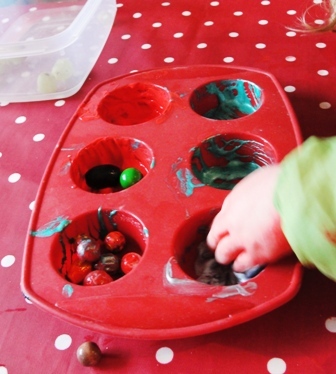 She dropped several beads into the paint & rolled them around with the help of a teaspoon (& fingers), before dropping them into the biscuit tin. She experimented by dropping the beads from different heights, & gently tipping the tin from side to side to encourage the beads to roll around the paper. Then the movement of the tin became a little more vigorous & more beads were added. 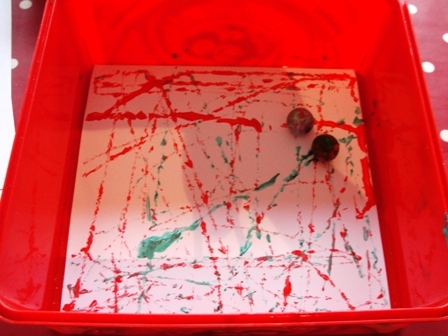 The tin was shaken from side to side & bounced up and down (with a couple of beads flying out at this point). 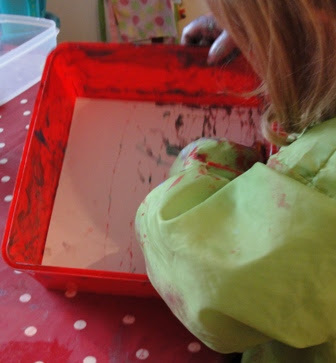 Not only was this offering an alternative painting experience, & a chance to explore the patterns different movements made, but also a sensory & tactile experience as beads were rolled around in the paint with fingers & hands. 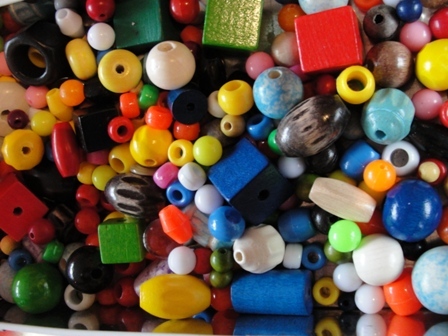 The results were pretty good considering we used such a varied selection of beads. I'm kinda glad we lost our marbles! ;-) Can't wait to see what Minnie wants to experiment with next.